If your planning on switching from Windows to Linux in the future, and just want to dip your toe in to the world of Linux, here are three options allowing you to install Linux without touching your existing Windows partition or setting up a dual boot machine. 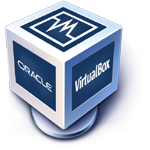 The quickest and easiest way to try Linux is to set up a virtual machine using software such as virtual box for Windows. You can set up as many virtual machines as you like, giving you the opportunity to try different distributions and different window managers and see which Linux distribution works for you. The only downside of using Linux in a virtual machine is that you will need to install the graphics controller via guest additions, so you won't get the best performance from your graphics card. You can run Linux directly from a USB Flash Drive without touching your existing Windows installation. Download the distributions .iso file and then write this to your USB Flash Drive using software called Rufus which is available for Windows. You also need to make sure that your machine is set to boot from USB, which can be set via the motherboard BIOS settings (Boot Order). •et; Hot Swappable Hard Drive Caddy. The hard drive caddy fits in the 5¼" DVD/CD Bay of your PC tower. Insert the hard drive in to the caddy at the front of your machine. Insert your USB Flash Drive and then install the Linux distribution to the hard drive. If you need to go back to Windows at any time, shut down, eject the drive from the caddy, then insert the hard drive containing Windows. The hard drive switcher fits in the 5¼" DVD/CD Bay of your PC tower. Each switch on the front panel is connected to the hard drives inside your machine. For example switch one might be your Windows drive, switch two might be your Linux drive. Select the switch for your Linux drive, Insert your USB Flash Drive and then install the Linux distribution to the hard drive. If you need to go back to Windows at anytime, shut down, and select the switch for your Windows drive. I hope this information is useful, and you avoid having to rewrite the MBR and remove the grub boot loader.